Sergio Marchionne tapped Mike Manley for perhaps the most important task in the company when Chrysler emerged from bankruptcy and Fiat took operational control in mid-2009: revitalizing Jeep and later increasing the brand's sales in global markets. The paint shop at Fiat Chrysler Automobiles’ assembly plant in Brampton, Ont., was undergoing a promised upgrade this summer when the automaker’s visionary CEO, Sergio Marchionne, died July 25 at age 66. The $325-million expenditure at the facility — a pledge made in 2016 contract talks with the union Unifor — was just a small part of the enormous legacy that the Italian-Canadian left on his adoptive country. Marchionne died of complications following shoulder surgery at a hospital in Zurich, Switzerland. His death triggered an outpouring of admiration for a man known for his out-of-the-box strategic, adept handling of politicians, his humour, a tendency to quote philosophers, and his preference for sweaters over business suits. His death has also raised questions about the future of the auto industry powerhouse he forged out of two ailing companies, first rescuing Italy’s Fiat in 2004 and then bankrupt Chrysler in 2009 during the Great Recession. “He was a true visionary,” said Dwight Duncan, a former Ontario Liberal finance minister who helped negotiate a joint $1.7 billion in federal-provincial government loans to Chrysler during the financial crisis. Marchionne’s successor, Mike Manley, a long-time FCA executive and most recently global head of Jeep and Ram, has vowed to carry out his vision. “My intention is to deliver on the plan as a strong, independent FCA,” Manley told analysts on a subdued quarterly conference held just hours after Marchionne’s death. Manley also said his first task will be to fix its challenges in China, where sales slumped in the second quarter amid an escalating trade war with the United States. The British-born Manley spent much of his career with FCA in Asia. For Ontario, the hub of Canada’s auto sector, the stakes are high. Auto assembly plants generate huge returns in terms of jobs and taxes, and spawn thousands of related jobs in parts manufacturing. But automakers are increasingly demanding workers and government bear some of the costs. Canada has been losing out on auto-industry investment as production shifts to Mexico and the southern United States, based on lower labour costs. Of the US $123 billion that automakers have poured into their operations in the North America free-trade zone since 2009, $8.2 billion — less than seven per cent — went to Canada, according to data compiled by the Center for Automotive Research in Ann Arbor, Mich.
Future negotiations for new investment could be even tougher given the growing protectionist sentiment under U.S. President Donald Trump. “I’m much more worried about that fool south of the border,” Dias said, referring to Trump’s threat to impose a 25-per-cent import tariff on vehicles. 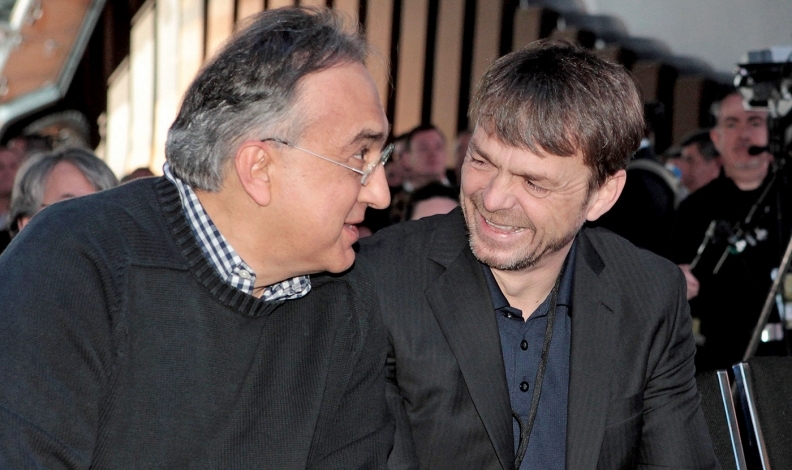 Marchionne was seen as having a soft spot for his adopted country of Canada. His family moved to Toronto from Italy when he was 14 and he attained all three of his degrees — philosophy, law and business — at Canadian universities. But industry analysts said he was also a tough-minded businessman who demanded the numbers add up. WHAT ABOUT CANADIAN REID BIGLAND? Top lieutenants, such as Reid Bigland, were loyal to Marchionne. 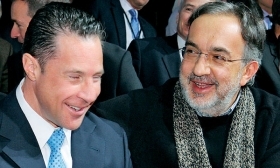 Some industry observers were hoping that Reid Bigland, who holds joint Canadian-U.S. citizenship and is head of FCA Canada and U.S. sales, would be named Marchionne’s successor, said Tony Faria, co-director of the University of Windsor’s Office of Automotive and Vehicle Research. Faria said that Bigland is well known here while Manley is not. Under Marchionne’s leadership, FCA’s market value soared to US $33 billion as he brought in new manufacturing processes, flattened the management structure and backed its more profitable truck and utility brands. In Canada, employment grew by more than a quarter to nearly 12,000. Production rose 68 per cent to 531,261, and sales in Canada soared by two thirds to 267,052 as FCA rode the crest of post-recession recovery. FCA’s assembly plant in Windsor, with more than 6,000 employees, is Canada’s largest manufacturing facility, and part of FCA’s US $2.7-billion investment in the Chrysler Pacifica minivan. Less clear is the future of the Brampton plant, which makes the Chrysler 300 and Dodge Challenger and Charger, as FCA continues to focus on expanding the Jeep, Ram, Alfa Romeo and Maserati brands, none of them made in Canada. The plant has no new product in the pipeline and is unlikely to get any before the next contract talks with the union in 2020, Dziczek said. Dias, who represents 3,500 workers in Brampton, hasn’t met Manley.